Giving businesses the edge with a range of specialist IT services, tailored expertly to your business systems and processes. 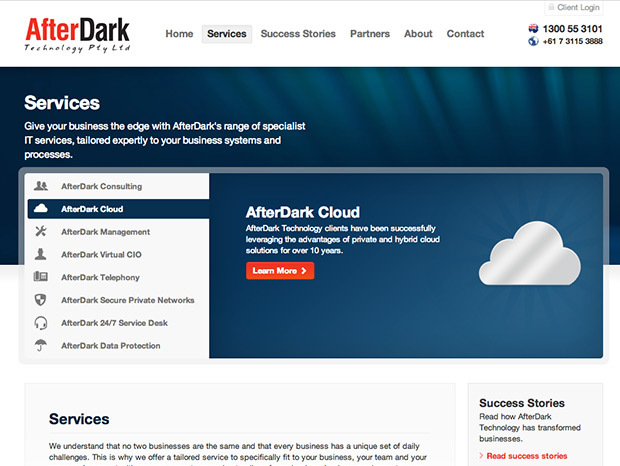 AfterDark needed an elegant web presence that demonstrated the full capability of the company without confusing customers through layers of jargon soaked information architecture. 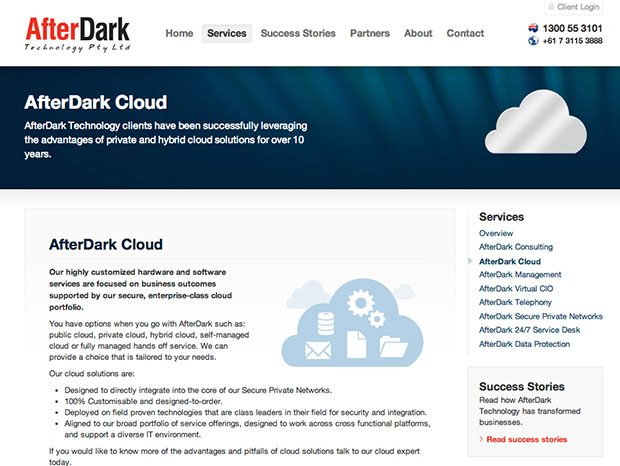 Smartface helped in refining a strategy for AfterDark’s unique product and service offerings that would be used in extending the brand into new markets. 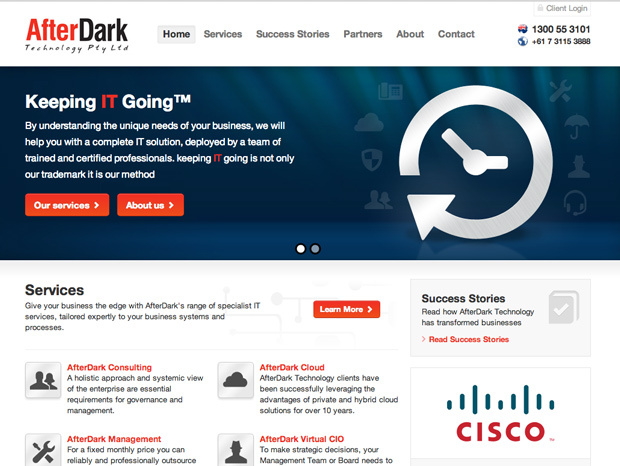 Other components of the web strategy was unifying the AfterDark brand within a stylish website, purpose built for search engine reach and ongoing content strategy. 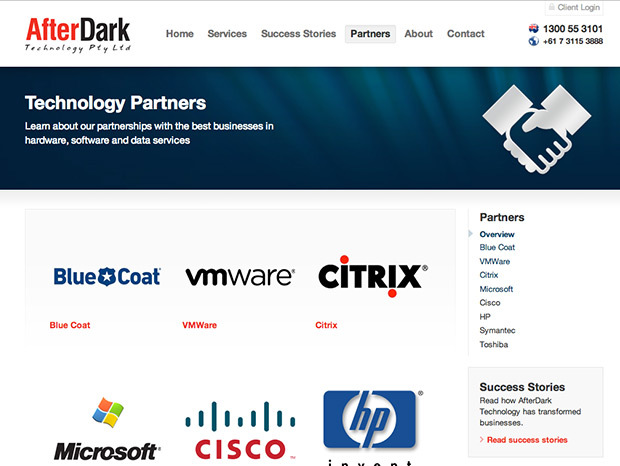 In addition, Smartface is an ongoing business and technology partner, consulting on complex technology integrations and electronic business workflow developments.